In the Jain history it is mentioned that many great figures attained omniscience even when they were householders or were living in home or they were under purest reflections. 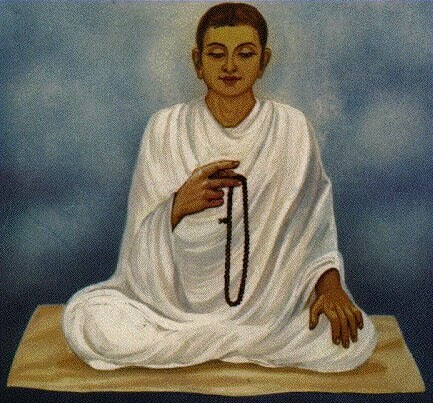 There were also many great Jain monks who became fully enlightened while they were under pure state of mind. Here is the list of few omniscient lords. King Bharata: Became omniscient while sitting in his palace’s mirror room. Ilachi Kumar: Became omniscient while performing the rope-walk. Guna Sagar: Became omniscient during his wedding. Mother Marudeva: Became omniscient while riding on elephant when she saw her son Rishabha giving seremon. Gajsukumal: Became omniscient when his father-in-law put burning coals on his head. IMPERMANENCE OF THE WORLD: A person should meditate on this reflection, under this reflection one thinks that in this world, everything such as life, youth, wealth and property is transient or subject to alternation. Nothing in the universe is permanent, even though the whole universe is permanent or constant. Spiritual values are therefore worth striving for as soul’s ultimate freedom and stability. This will help to break all worldly attachments. King Bharata was thinking like this when he attained omniscience and became full enlightened in his palace’s mirror room. NO ONE PROVIDES PROTECTION : Under this reflection, one thinks that he/she is helpless against death, old age and disease. The only way he can conquer death and disease is destroying all his karma. The soul is its own savior, and to achieve total freedom and enlightenment, one takes refuge to the true path of the religion and the five benevolent personalities, Arihant, Siddha, Acharya, upadhyay and Sadhus or monks. A Jain monk Amar Kumar reincarnated to the 12th Heavenly region by thinking this. NO PERMANENT RELATIONSHIP IN THE UNIVERSE: If one meditate on this and thinks about the relations by keeping the soul in the centre then he/she realizes that the soul transmigrates from one life to the other and takes birth as human, animal, hellish and heavenly body. There are no permanent worldly relations like father, mother, friend and foe. By thinking on this, many people has attained liberation. SOLITUDE OF THE SOUL: One should meditate under this reflection by thinking that the soul is solitude, and lonely in existence. The soul assumes birth alone, and departs alone, from this world. The soul is responsible for its own actions and karmas. When a person suffers from pain then nobody from his relatives and friends can share his/her sufferings. Jain monk Anathimuni got initiated by thinking this. SEPARATENESS: One should meditate on this reflection by thinking that one’s own soul is separate from any other objects or living beings of the world. Even his physical body is also not his. At the time of death, soul leaves the body behind. The body is matter while the soul is all conscious. The soul therefore should not develop attachment for worldly objects, other living beings, or to his/her own physical body. IMPURENESS OF THE BODY: One should meditate on this reflection by thinking about the constituent element of one’s body. It is made of impure things like blood, bones, flesh, etc. It is also generates impure things like perspiration, urine and stood. The soul, which resides within the body, remains unattached to the body. The soul is alone, pure and liberated. The body eventually becomes nonexistent, but the soul is eternal. Lord Mallinath, the 19th Tirthankar converted mind of six kings by telling this who came to marry her. She eventually converted them to develop detachment toward female beauty and worldly attachments. INFLUX OF KARMA: Under this reflection, one thinks about karma streaming into soul. Every time the person enjoys or suffers through his/her five senses (touch, taste, smell, sight and hearing), the person accumulates more karma. This thought will wake him/her more careful and aware of their own actions. This reflection develops self-control. STOPPAGE OF INFLUX OF KARMA: Under this reflection, one thinks about stopping evil thoughts, and becomes absorbed in achieving spiritual knowledge and meditation. This prevents the influx of karma. SHEDDING OF KARMA: Under this reflection one thinks and desires to start penance in order to destroy previously acquired karma. The person starts austerity and meditation. TRANSITORY OF UNIVERSE: A person meditates about the real nature of the Universe. Judging from the standpoint of substance, it is eternal but from the standpoint of modification it is transitory. Thus all objects of the world come into existence and perish. This thought makes the person understand the true nature of reality which is necessary for right knowledge and faith. UNATTAINIBILITY OF RIGHT FAITH, KNOWLEDGE AND CONDUCT: Under this reflection, one thinks that it is very difficult for the transmigrating soul to acquire right faith, right knowledge and right conduct in this world. Therefore, when one has the opportunity to be a religious person, take the advantage of it to develop right religions talent. This thought will strengthen one’s effort to attain right faith and knowledge, and live accordingly. UNATTAINIBILITY OF TRUE PERCEPTOR, SCRIPTURES AND RELIGION: Under this reflection, one thinks that the true preceptor (teacher), religious scriptures, and religion are excellent shelters in this world full of agony. All other things lead to misery and sufferings. Besides the twelve reflections described above, Jainism has laid great importance on the following four reflections and virtues.